Hey folks, I am a member of the Sheet Harbour & Area Ground Search & Rescue Team here in Nova Scotia, and we are in the planning stages of our 17th annual fish derby fundraising event. This is a trout fishing derby, and it is our only fundraising event for our team to help with purchasing needed gear and equipment. The derby takes place on June 02-12, and it is a great time had by all who attend. The main prize is an aluminium boat, motor, and trailer. Some of the other prizes have been canoes, generators, big screen TV's, fish finders, and GPS units. Last year, and to the best of my knowledge, was the first time we had someone fishing from a Kayak. 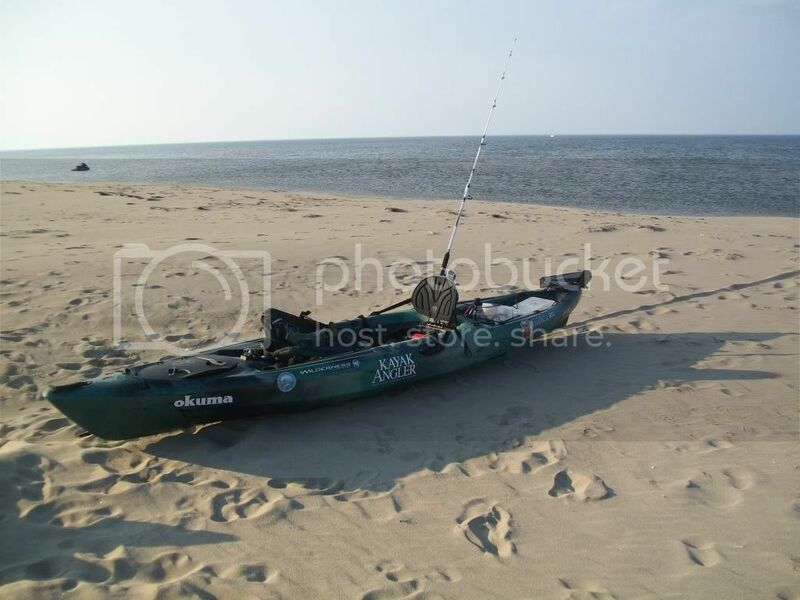 He is a visitor/member of this site, and it is because of him, I am now the proud owner of a Kayak myself!!!!! The derby takes place at a lake North of Sheet Harbour, and there is lots of FREE parking, and an area where you can camp overnight if you want to come up the day before the derby to get settled in if you are coming from a distance to the derby. We are seeking sponsors, and/or prize donations for the event, and anyone interested can message me through this website. Truly an awsome time! I will be in attendance again this year, will be nice to see more yaks on the water. I actually camped there the night before. I'll ask at work if they want to donate enything for ya Randal. you were our first ever Kayak to fish the derby, and our first "ONLINE" ticket sale! I hope to see more Kayaks there in years to come. Hey Xlobsterman, do you guys have a website with more info on the event? And by the way, I'm a member of the River Valley Ground Search & Rescue (which is umbrella'd by the NBGSAR), and am in charge of fundraising. You guys have a good idea, there. I might try something like that too! perhaps with the regional winners going on to the nationals... . you never know. it is a good fit for fund raising for the GSR groups. some sort of kayak rescue demo or similar idea would be good too. whoever has the most fishing gear when they die wins! We do not have a website yet! But we were discussing it at a meeting last night, so we may be online this year??? We had a multi agency mock search/training session last year, and I was a part of a beach extraction by the CCG using a Kayak to get us off the beach into a CG rescue boat. The guy on the left in the pic was from the CG boat, he swam into the beach with the Yak and an extra survival suit, my buddy on the right put the suit on, and then they were both pulled back to the boat while holding onto the yak. Then they repeated the procedure to extract me from this remote beach!!! This was not planned, it was an improvisation by the CG crew, and it worked out great!!! BTW, this annual fish derby gets bigger & better every year!!! Lots of people in our local community actually look forward to this annual family event each year! Im gonna be down that way a lot this summer so Im hoping to Join... My brother has a House on Beaver harbor road, and im hoping to use that as a base for a lot of Salt water fishing this year!!! now that`s the type of kayak rescue i would like to see more often! great stuff!! Nice to see you taking advantage of everything possible. I do have one suggestion, and it's on you might already have had, but would a sit-on-top kayak be easier to get someone onto than a sit-inside? Especially if the person is injured and doesn't have good flexibility. YES, I agree! But the original purpose of the Kayaks is that they were used as our scenario in the mock search/training exercise of a group of missing Kayakers! The crew from the CG boat did an impromptu exercise using myself & fellow searcher as guinea pigs for a beach extraction with the Kayak! I just set-up an event page for this years derby on Facebook. Check this page in the future for updates and current info on this derby/fundraiser for our GSAR Team.